Steven Y. Otaguro is a partner practicing in the areas of business law, insurance coverage, civil litigation, appellate work, and technology. Since joining the firm in 1984, he has gained a breadth of experience assisting individuals, business entities and non‑profit organizations with their legal issues and needs. Mr. Otaguro graduated with a B.A. in Accounting (with honors) from Whittier College in Whittier, California. He received his Juris Doctor degree from the Boalt Hall School of Law at the University of California at Berkeley. Before joining the firm, Mr. Otaguro worked as an intern for Associate Justice Yoshimi Hayashi of the Hawaii Supreme Court and as a law clerk for Judge Ronald T.Y. Moon of the Circuit Court of the First Circuit, State of Hawaii. Mr. Otaguro has been appointed by the Chief Justice of the Hawaii Supreme Court to serve on the Committee on Pattern Civil Jury Instructions, which prepares standardized civil jury instructions for use in Hawaii State courts. He has served on that committee since July 1997. 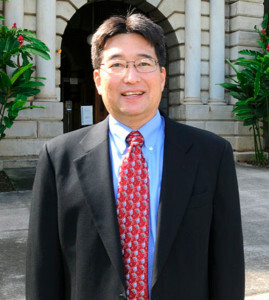 Mr. Otaguro is a member of the Hawaii State Bar Association and the American Bar Association. He is admitted to practice in all Hawaii State courts, the United States District Court for the District of Hawaii, and the Ninth Circuit Court of Appeals.